In 1971, director Amando de Ossorio created what horror fans worldwide consider to be Spain's NIGHT OF THE LIVING DEAD. In Ossorio's nightmare vision, a legion of Knights Templar - executed horsemen whose eyes had been pecked out by crows - rise rotting from their graves, hunting only by sound in a quest for human flesh. 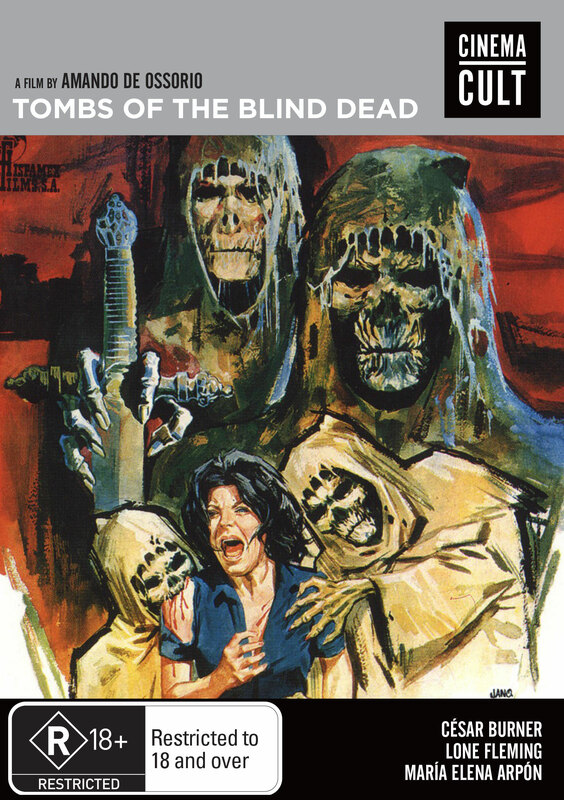 The BLIND DEAD saga begins here, as a modern-day tourist trip to the ruins of the Templar monastery unleashes a frenzy of lesbian desire, sexual violence and the unholy onslaught of the eyeless undead!